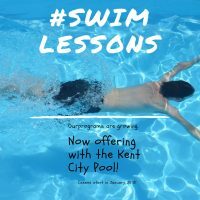 This class is for kids 5 years and older is to help them gain the basics of aquatic skills. They will work on floating, opening eyes underwater, bobbing up and down, blowing bubbles, freestyle stroke and more. The participants will develop positive attitudes and safe practice in and around the water area. There are not any skill prerequisites.